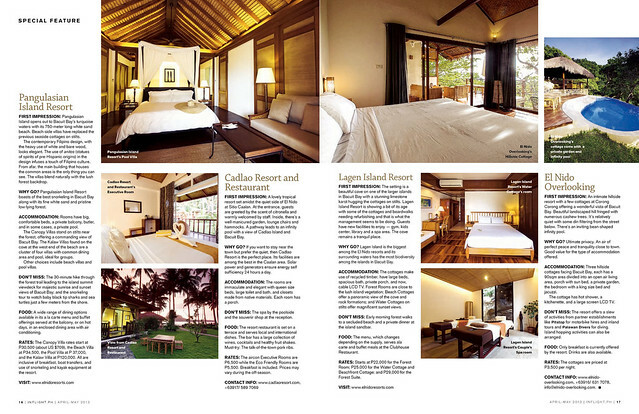 If you are flying Seair/Tigerairways this month of April and July 2013, get a Palawan overload in the latest Seair InFlight Magazine. 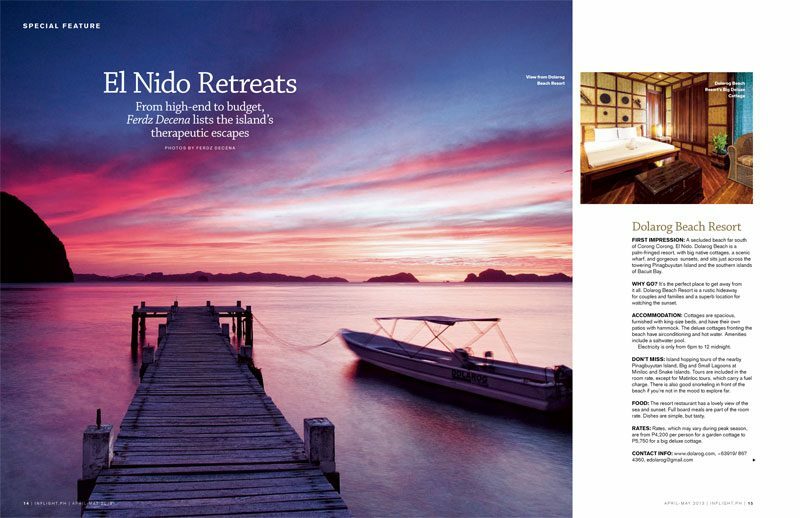 Amongst the many Palawan features in the issue, is my story and photos on “El Nido Retreats”, it covers some of the top resorts in El Nido like Pangulasian Island, Lagen Island, Dolarog Beach Resort, Cadlao Island Resort and EL Nido Overlooking. So check out the front pockets of your seats when you fly Seair/Tigerairways this month and next.